Although this day already holds a special place in my heart as it is my birthday, this year I am celebrating a milestone, 45 year sold But I don’t think as you get older you need to stop having fun. So I am in the process of coming up with a good trick for my kids but thought I would share this one that I did last year and never posted. Be sure to check out all the other great April Fools Day jokes and April Fools Day Pranks. I am not suggesting you be evil this April Fools Day, just have some fun with the kids in their April Fools Day Lunch Box. 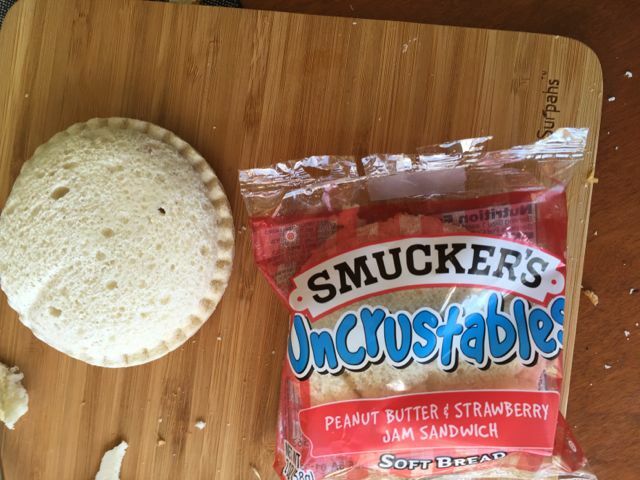 I usually have a box of Smuckers Uncrustables in my freezer for those days I do not have sandwich food or just too plain lazy to make them. The night before April Fools Day, when the kids were asleep, I started experimenting. 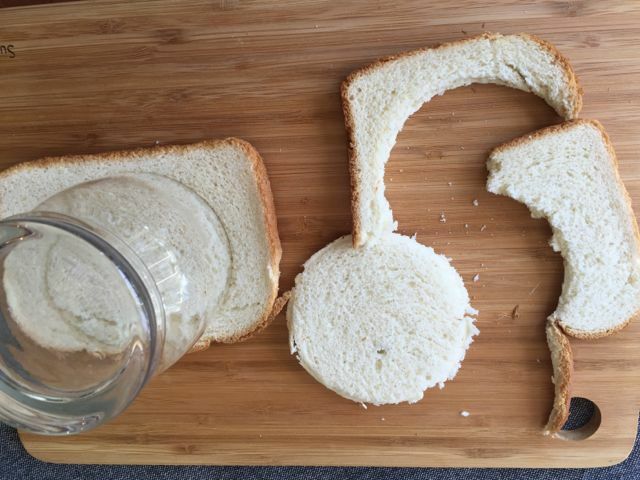 I used a large mouthed glass cup to cut out circles out of bread. 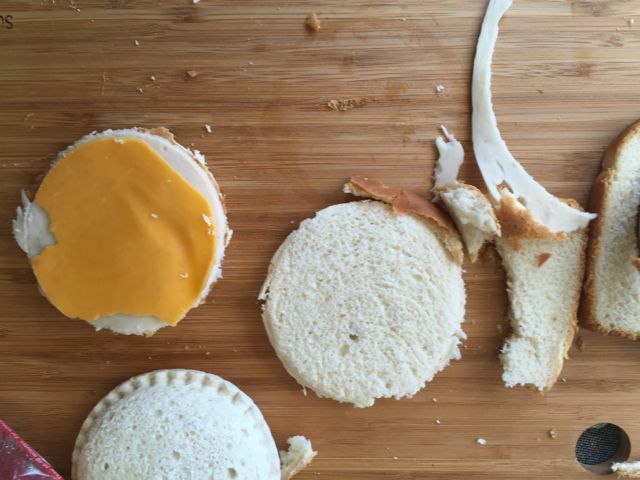 I then cut the sandwich meat and cheese out of circles. 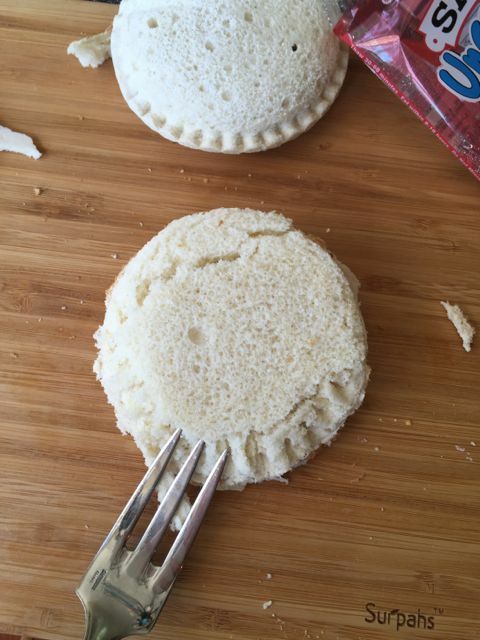 Then I carefully opened an uncrustable and removed the sandwich. Put the sandwiches in a freezer bag and placed them back into the freezer.I put the circle sandwich together and then used a fork to replicate the pattern around of the uncrustable. Put the new sandwich into the PB& J bag and reseal with double stick tape. I tell you they won’t know the difference. Bam, when the kids pull out their lunch they will be surprised that it was not peanut butter. The kids will take a bite and their brain will have a sensory breakdown. They think they are having a PB& J sandwich and you fooled them. Good Work Mom! NOTE: Do not do this in a peanut free school you will cause an uproar! 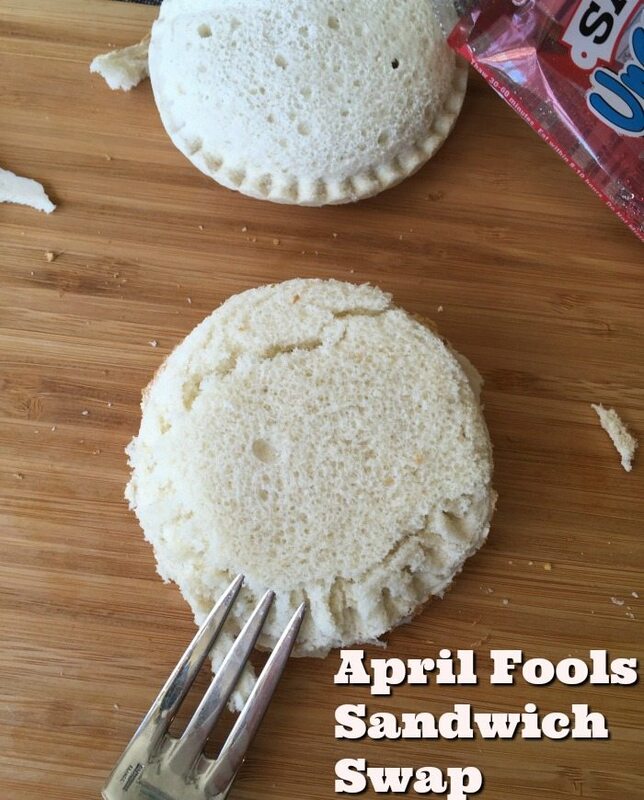 What April Fools Day Lunch Tricks do you have up your sleeve?